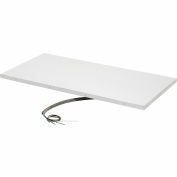 High temperature radiant ceiling panels heat objects, not air Radiant ceiling panels were designed to easily drop into any T-Bar suspended ceiling system or can be surface mounted with optional frames (not included). 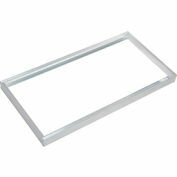 These ceiling panels have an electric resistance element that is imbedded between two layers of insulation. The high-density thermal insulation above element minimizes heat loss. 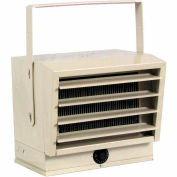 Heaters are made with textured white powder coat finish. 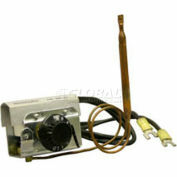 Heat panels include 36L pre-wired flexible cable. Drops into any 2 x 2 T-bar suspended ceiling system. 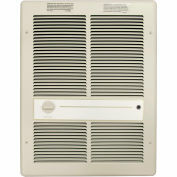 Provides coverage up to 12'H in a 8' x 8' area. cETLus Listed. 1 Year Limited Warranty.